By changing our approach to author rights, we can help writers earn more. Who makes the money in publishing? Nobody. This often repeated dark joke highlights a serious issue. The most recent figures show that Australian authors earn just $12,900 a year from writing work (the median, at $2,800, was even worse). Indeed, authors can gross less than $5,000 for Miles Franklin-nominated titles that took two or more years to write. Fixing this isn’t as simple as reaching more deeply into publisher pockets, because most of those are empty too. While the major international houses are thriving (Simon & Schuster and Penguin Random House recently reported 16% profits), publishing Australian stories can be financially perilous. In independent publishing, 10% of the book sale goes to the author, perhaps another 10% to the printer, and up to a whopping 70% for distribution. What’s left has to pay the publisher, editor, marketers, admin staff and keep the lights on. 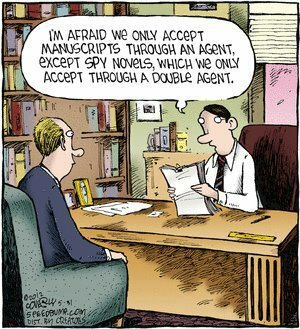 But we can improve our approach to author rights. Here are five lessons we can learn from elsewhere to help Australian writers earn more money. Traditionally, contractual “out of print” clauses have let authors reclaim their rights when a print run has sold out and the publisher doesn’t want to invest in another. But in our recent analysis of almost 150 contracts in the Australian Society of Authors archive, we found 85% of contracts with these clauses allowed authors to reclaim their rights only when the book was “not available in any edition”. These days, books can be kept available (at least digitally or via print-on-demand) forever – but that doesn’t mean their publishers are still actively promoting them. A better approach is to allow authors to reclaim their rights towards the end of a work’s commercial life, determined with reference to objective criteria like the number of copies sold or royalties earned in the previous year. The Australian Society of Authors recommends authors only sign contracts that have this meaningful kind of out-of-print clause – but many publishers still try to get authors to sign up to unacceptable terms. A growing number of countries (including France, Romania, Slovenia, Spain, Macedonia and Brazil mandate author rights based on objective criteria. The French law is an interesting model. There, authors can get their rights back if a book has been published for at least four years, and they haven’t been credited royalties for at least two. This opens up new possibilities for the author to license it to another publisher, or even sell it directly to libraries or consumers. Rebecca Giblin on the problems with publishing contracts and the case for new author rights. Publishers take very broad rights to most books: in our recent archival analysis we found 83% took worldwide rights, and 43% took rights in all languages. It’s easy to take rights – but if publishers do so, they should be obliged to either use them or give them back. To that end we can learn from the “use it or lose it” laws that bind publishers in some parts of Europe. In Spain and Lithuania, for example, authors can get their rights back for languages that are still unexploited after five years. Of course, it’s not always the case that there’s no money in publishing: sometimes a title that was expected to sell 5,000 copies sells 5,000,000. That changes the economics enormously: but in many cases, the contract only provides the same old 10% revenue for the author. For works that achieve unexpected success, we can learn from Germany and the Netherlands (and the proposed new EU copyright law). They have “bestseller” clauses that give authors the right to share fairly in unexpected windfalls arising from their work. Even where there’s not much money to be made, the author should still receive a fair share. Again, Germany and the Netherlands lead the way on this. There, authors are entitled to “fair” or “equitable” payment for their work – and can enforce those rights if their pay is too low. These laws don’t set a dollar amount, since what is “fair” depends on all the circumstances. However, such laws at least provide a minimum floor. If the contracted amount is unfair or inequitable, authors have a legal right to redress. In Australia, copyright lasts for the life of the author, and then another 70 years after that. Publishers almost always take rights for that full term – only 3% of the contracts between publishers and authors we looked at took less. But publishers don’t need that long to recoup their investments. In the US, authors can reclaim their rights from intermediaries 35 years after they licensed or transferred them. In Canada, copyrights transfer automatically to heirs 25 years after an author dies. We used to have the same law in Australia, but it was abolished for spurious reasons about 50 years ago. If we reintroduced a similar time limit on transfers, it would open up new opportunities for authors and their heirs (for example, to license or sell to a different publisher, libraries or direct to the public). It’s true that there’s often not much money in publishing. But by changing our approach to author rights, we can help writers earn more and make Australian books more freely available. Last Tuesday Bryan Adams entered the copyright debate. That’s Bryan Adams the singer and songwriter, the composer of “(Everything I Do) I Do It for You”, and “Summer of ’69”. Authors, artists and composers often have little bargaining power, and are often pressured to sign away their rights to their publisher for life. Adams appeared before a Canadian House of Commons committee to argue they should be entitled to reclaim ownership of their creations 25 years after they sign them away. In Canada, they get them back 25 years after they are dead when the rights automatically revert to their estate. In Australia, our law used to do the same, but we removed the provision in 1968. In our law, authors are never given back what they give away. Some publishers voluntarily put such clauses in their contracts, but that is something they choose to do, rather than something the law mandates. Australia’s copyright term is long. For written works it lasts for 70 years after the death of the author. It was extended from 50 years after death as part of the Australia-United States Free Trade Agreement. Copyright is a government-granted limited monopoly to control certain uses of an author’s work. It is meant to achieve three main things: incentivise the creation of works, reward authors, and benefit society through access to knowledge and culture. Incentive and reward are not the same thing. The copyright term needed to provide an incentive to create something is pretty short. The Productivity Commission has estimated the average commercial life of a piece of music, for example is two to five years. Most pieces of visual art yield commercial income for just two years, with distribution highly skewed toward the small number with a longer life. The average commercial life of a film is three to six years. For books, it is typically 1.4 to five years; 90% of books are out of print after two years. It is well accepted by economists that a term of about 25 years is the maximum needed to incentivise the creation of works. The second purpose is to provide a reward to authors, beyond the bare minimum incentive needed to create something. Quite reasonably, we want to give them a bit extra as thanks for their work. But, in practice authors, artists and composers are often obliged to transfer all or most of their rights to corporate investors such as record labels or book publishers in order to receive anything at all. In the film and television industries it is not unusual for creators to have to sign over their whole copyright, forever – and not just here on Earth but throughout the universe at large. It means investors don’t just take what is needed to incentivise their work but most of the rewards meant for the author as well. This isn’t new. Creators have been complaining since at least 1737 that too often they have no choice but to transfer their rights before anyone knows what they are worth. In recognition of these realities, many countries, including the US, have enacted author-protective laws that, for example, let creators reclaim their rights back after a certain amount of time, or after publishers stop exploiting them, or after royalties stop flowing. Other laws guarantee creators “fair” or “reasonable” payment. Australia stands out for having no author protections at all. Canada’s law already protects authors by giving rights back to their heirs 25 years after they die. Bryan Adams’s proposal is to change one word in that law. Instead of copyright reverting to the creator 25 years after “death”, he wants it to revert 25 years after “transfer”. Handing rights back to creators after 25 years would not only help them secure more of copyright’s rewards, it would also help achieve copyright’s other major aim: to promote widespread access to knowledge and culture. Right now our law isn’t doing a very good job of that, particularly for older material. Copyright lasts for so long, and distributors lose financial interest in works so fast, that they are often neither properly distributed nor available for anyone else to distribute. In the book industry my research into almost 100,000 titles has found that publishers license older e-books to libraries on the same terms and for the same prices as newer ones. That includes “exploding” licences which force books to be deleted from collections even if nobody ever borrows them. Publishers are interested in maximising their share of library collections budgets, not ensuring that a particular author continues to get paid or a particular title continues to get read. As a result libraries often forgo buying older (but still culturally valuable) books even though they would have bought them if the publisher cared enough to make them available at a reasonable price. Restricting access to books is not in the interests of authors or readers. If rights reverted after 25 years, as I have proposed and as Adams now proposes, authors would be able to do things like license their books directly to libraries in exchange for fair remuneration – say $1 per loan. If authors weren’t interested in reclaiming their rights, they could automatically default to a “cultural steward” that would use the proceeds to directly support new creators via prizes, fellowships and grants – much like Victor Hugo envisaged with his idea of a “paid public domain” back in 1878. We could do it all without changing the total copyright term imposed on us by the Australia-US Free Trade Agreement and other treaties. We could get creators paid more fairly while keeping Australian culture alive. There are some interesting claims being levelled in the publishing industry about the death of books (rubbish), that publishers are going broke (only if they messed up) and that the industry is in turmoil (only when scaremongers keep saying it is). Well, the infographic below highlights some statistics on the US book industry – I think I’m going to stop calling it the publishing industry, maybe reading industry is more appropriate. The final figure is the one that everyone should quote the next time a smaller or non-existent advance is offered to authors, or royalty rates are lowered, or high book prices are justified. 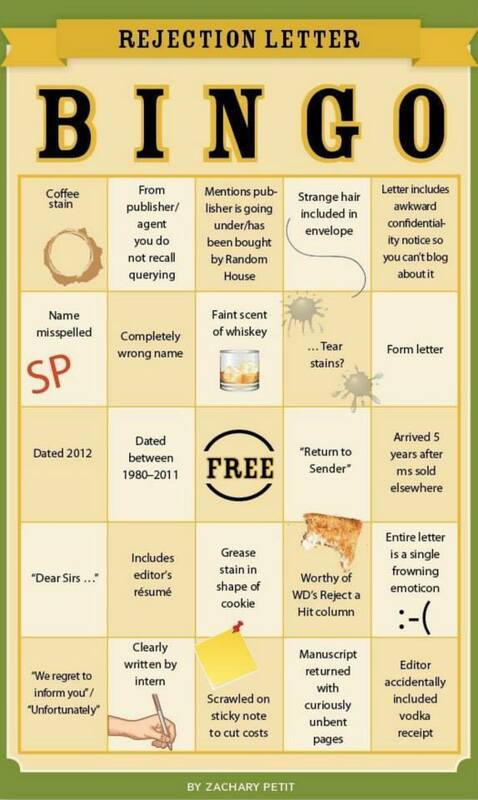 Just a little something for all my fellow authors. NB: thanks to Zoe Sharp for sending this one to me.